Located on the Melbourne side of Ballarat with easy access to the freeway and close to the vibrant Ballarat CBD with schools, shops and dining. This brick Victorian terrace is a fine example of the quality and appealing architecture of the time including open fireplaces, high ceilings, timber floorboards, and a feature arched hallway. The house faces north ensuring bright spaces and warmth in the cooler months and good protection in summer. All three bedrooms are generous with the huge master featuring a large bay window and open fireplace the highlight. An open plan kitchen, living and meals area overlooks an undercover outdoor entertaining space perched above a private landscaped garden. 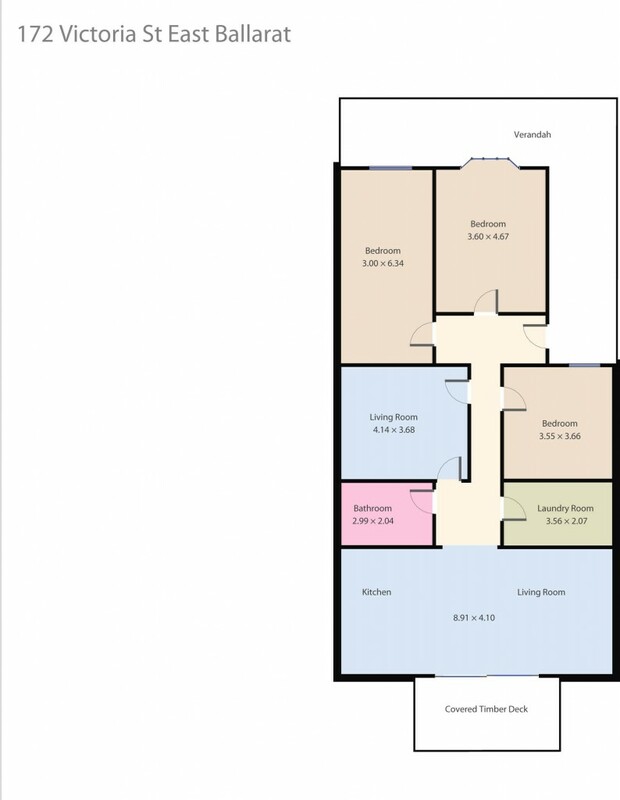 There is also a separate second living space with flexibility in the floor plan to configure to your needs. Other features include renovated bathroom with separate shower, bath and underfloor heating; split system and wood combustion heater to main open plan space; and off street parking. This property has been well maintained and has established gardens allowing the purchaser to move straight in and enjoy a low maintenance lifestyle. Contact the exclusive listing agents Dominic Morrison on 0409 557 461 and Tony Tomlins 0427 633 876.